Dinner baked potato, juice, tomato, cucumber with a touch of vinegar. Prep time about five minutes after the potato was baked. 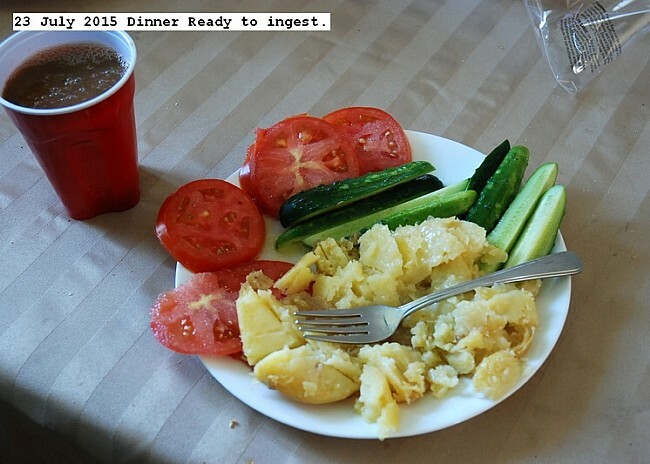 This entry was posted in Uncategorized and tagged Dinner. Bookmark the permalink.